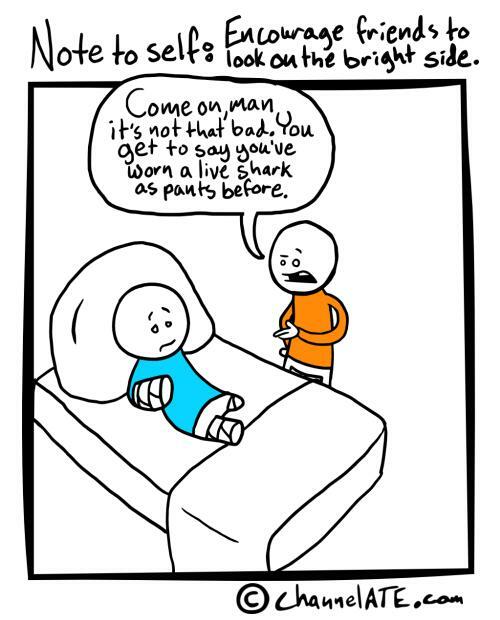 Who hasn’t wanted to wear sharkpants before?! I imagine alligator pants looking the same. I could be wrong, though. It’s funny how the sharks think we taste good, and I can say that shark meat is excellent on the grill! TASTY! try it sometime! Good eats! You heathen! You can’t cook shark meat on a grill! You lose the flavor! You have to smoke it!